That's excellent. I read it to my brothers at our stated meeting tonight. 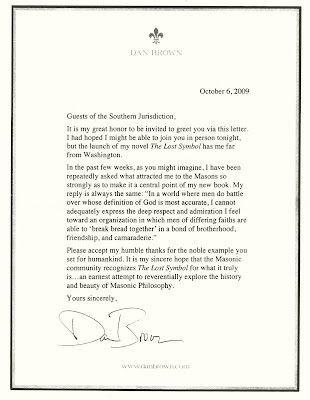 As you so aptly stated last Monday evening at Annapolis Lode, "Dan Brown has written a love letter to Freemasonry". 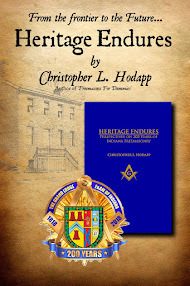 After I finished the book I never felt more proud of being a Freemason. Wow! That was really neat. In reading the book and now this letter I see his respect for our craft. It almost sounds to me like he's asking for a petition. I am even more proud now to have won one of 33 signed copies of the book via the Symbol Quest game and codes on the book jacket. 32nd Degree - Master of the Royal Secret / Knight of Saint Andrew. Basically, what Dan Brown is saying is that Freemasonry is especially noteworthy for its stance on toleration and mutual understanding regarding people of different faiths. These words you have quoted should be written in letters of fire--in the skies above this troubled world, and within every heart. Thank you for bringing this important material to our attention. He has such respect for Freemasonry that he makes up tales about Masons drinking out of skulls. Feh. He read it in an old book. I am not a Mason (yet); I submitted my petition earlier this year to my local lodge (Alameda, CA). This letter sums up quite a bit of why I'm trying to join. While researching the history and mystery of the Brotherhood, it occurred to me that all of the people arguing the anti-Masonic position were people I already disagreed with - and who would already disapprove of _me_. As I told one of the investigating team, any group that can get Jack Chick and Benedict XIV on the same side of an argument MUST have something going for them. Thank you for sharing this on your blog, Mr. Hodapp. The feeling is mutual, Joe. The difference is I leave such judgements of mercy to Him, not to internet posters who are busy telling me how evil I am for belonging to a group that teaches its members universal brotherhood. 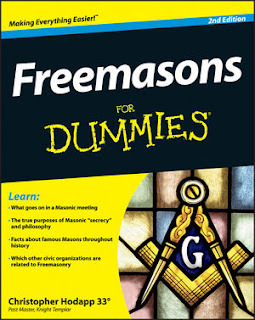 And no, the Church did NOT pronounce Freemasonry as "satanic."